The Oki Islands UNESCO Global Geopark Promotion Committee representatives attended the 8th International Conference on UNESCO Global Geoparks. 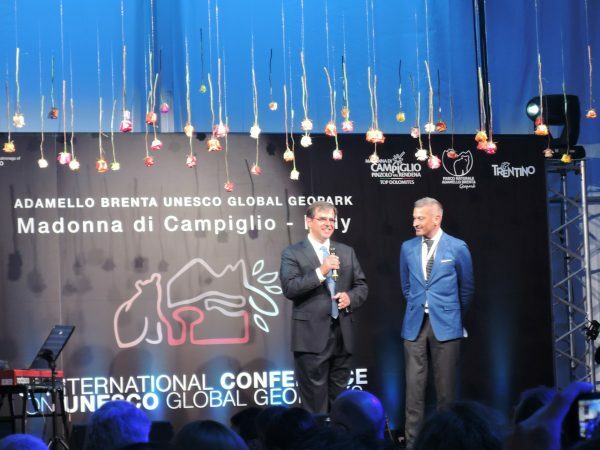 The conference took place at Adamello Brenta UNESCO Global Geopark (northern Italy), over the course of four days (11-14 September, 2018). 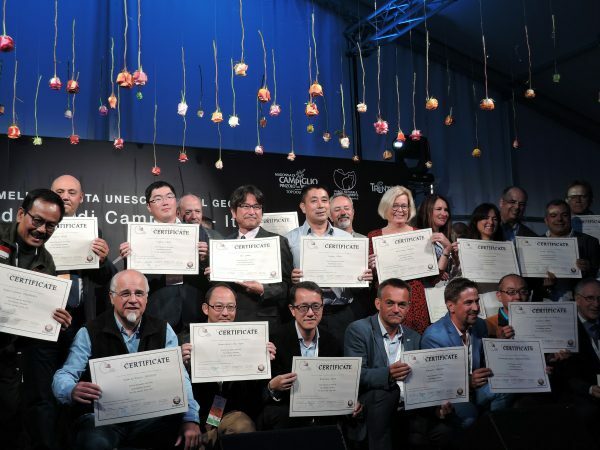 During the conference the two representatives from Oki Islands UGGp participated in numerous scientific sessions and meetings, which provided excellent platforms for learning about other global geoparks and sharing the Oki Islands UGGp’s experiences with other members of the network. The conference was also an opportunity to promote the Japanese Geoparks Network by joining other Japanese geoparks in a promotion booth. During the Award Ceremony on September 13th, the office head of the Promotion Committee received a certificate affirming the success of the Oki Islands UGGp’s revalidation, which took place in 2017. 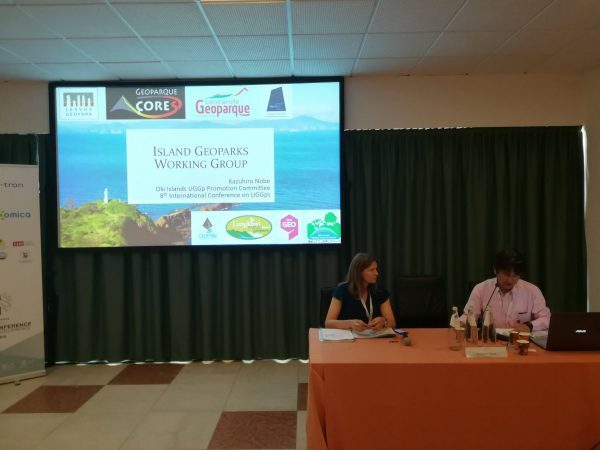 On the last day of the conference, the geopark representatives had the pleasure to chair a workshop on island geoparks, the first workshop held by the Island Geoparks Working Group of the Global Geoparks Network, which was newly established in June of this year. During the workshops the regional development projects implemented by the Oki Islands UGGp were also presented.